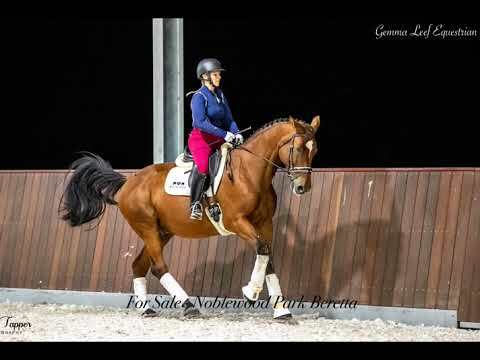 Noblewood Park Beretta is absolutely beautiful to handle & ride. Superbly educated & very sensible. With all laterals established including half pass, ridden with absolute ease, snaffle mouth and can be ridden with or without spurs. Flying changes, beginning pirouettes. Fantastic soft back easy to sit trot to. Not graded, start prelim & let him take you up grades.